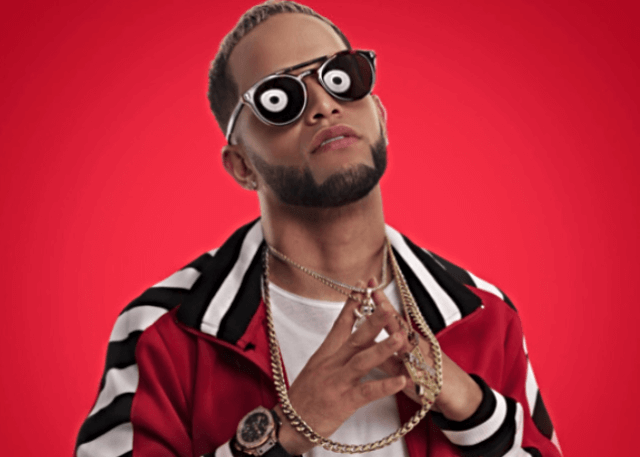 Casper Magico is a Puerto Rican rapper and singer at the forefront of an explosively popular Latin Trap scene that’s taking the American continent by storm. Mentored by fellow reggaeton innovator Anuel AA, Magico first gained exposure in early 2017 with the single “No Me Hables de Amor” featuring Anuel AA, racking up over two million views on YouTube. The track earned a spot in the Top Ten of Latin charts across streaming platforms worldwide. Follow-up singles “Te Perdí” (feat. Kendo Kaponi) and “Cuentale” (also featuring Anuel AA) served to further establish Magico’s presence on the charts. The enigmatic artist’s biographical details are something of a myster. Julio Cruz García grew up on the streets before finding his calling in music, building an online following and a career through his own hard graft. After his breakout single, Magico began posting self-recorded tracks on YouTube, scoring 100,000+ views in a matter of months. His hit single “Por Dinero” surfaced in March, followed by a stunning remix version with Kendo Kaponi, Miky Woodz, and Noriel. In December, his collaboration with Nio Garcia and Darell – “Te Bote” – prompted a pair of remixes: the “Te Bote: Electrónica Remixes” EP and a remix single. Featuring contributions from high-profile collaborators Bad Bunny, Nicky Jam and Ozuna, that single absolutely stormed the Latin pop and urban charts in countries around the world (including a coveted No. 1 spot on the influential Hot Latin Songs chart) reaching 300,000 views within weeks and earning Platinum certification in Italy, Spain and the U.S.